The apron is measured uncluded the straps. 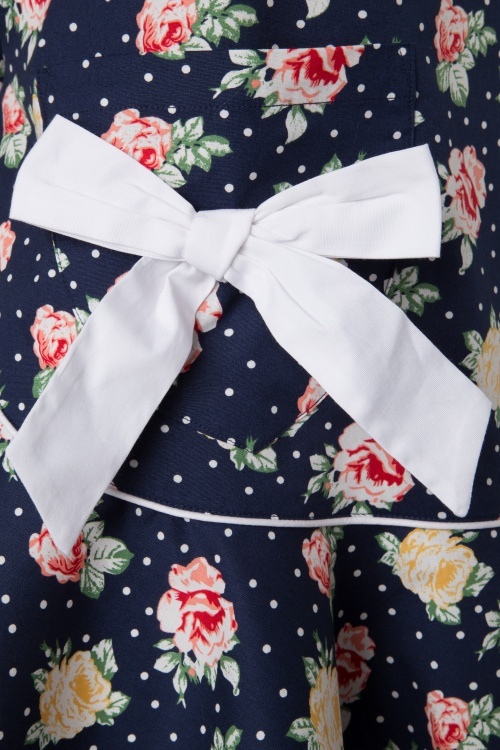 This 50s Emma Floral Apron by Bunny must be one of the prettiest aprons you've ever seen! 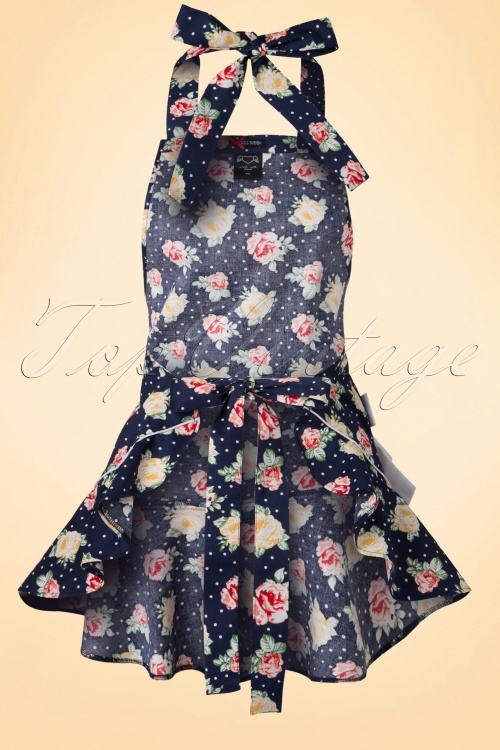 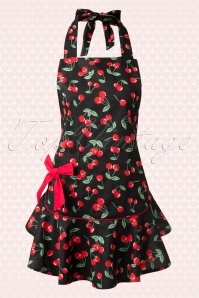 With this apron, the kitchen will become one of your favourite areas in your house again! 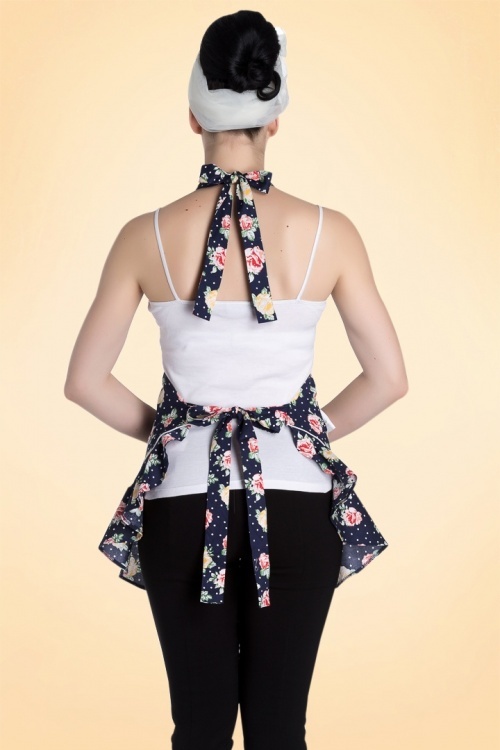 Made from a dark blue cotton blend (so easily to wash) and finished off with straps which can be tied around your neck and waist. 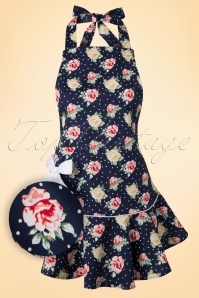 Changing clothes after cooking belongs to the past because this stunner not only protects your dress but makes you look stylish as well!